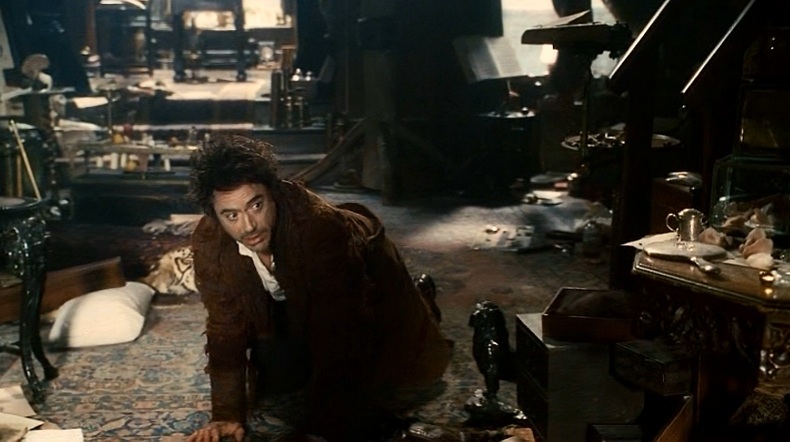 As Sherlock Holmes films, these two are starting to grow on me, despite my initial ambivalence. As vaguely steam-punky action films, on the other hand, I’m definitely a fan. After re-watching both of them, I watched the featurette on the Sherlock Holmes DVD. Unlike some featurettes, this one was actually worth watching. They (actors, director, producers) make a few good points in defense/explanation of the artistic license they took in making these. There is indeed plenty to be interpreted from Doyle’s work, and there is plenty that “we’ve got in our heads” about Holmes that is wrong (deerstalker hat, comically over-sized clay pipe, etc). 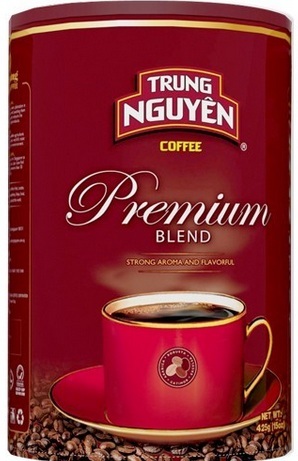 However, if they say “fresh and modern” or “not your grandfather’s Sherlock Holmes” one more time, I’ll scream. Don’t go there … just don’t. 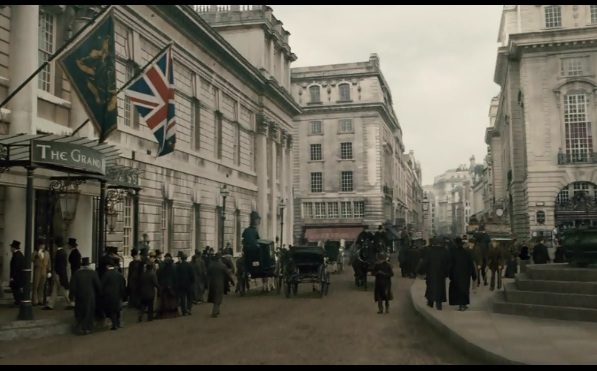 These films do a nice job of re-creating Victorian London. Overall though the writers seem to love the original stories, and have delved deep into the text for details that do not appear in a lot of other adaptations. Of course, being action-style films, a lot of what they’ve done is taken these details and turned them up to 11. We know that Holmes can box and has studied buritsu, and that throughout the novels and stories there are several examples of him having to make use of these talents. So … let’s have lots of fighting! 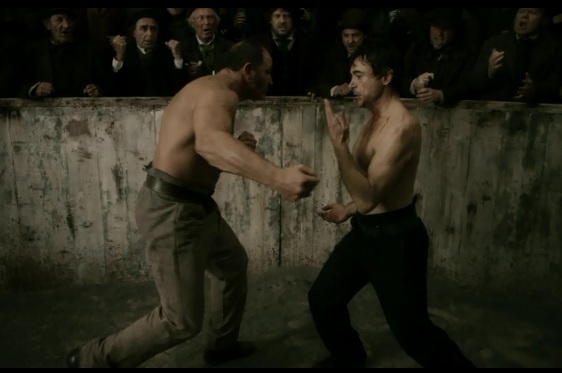 It’s an interesting idea that Holmes would try to visualize the fight and use his powers of deduction to predict the most likely tactics of his opponent. Of course, this is all a convenient opportunity to insert some violence into the story (and Downey Jr. fights using the Wing-Chun Kung-fu style, not buritsu, because that’s what he practices) but whatever. Hmmm … erm … zzzzz. The casting is pretty good, particularly Kelly Reilly as a very active Mary Morstan, and even though Downey Jr. isn’t British, he does a passable accent. He and Jude Law play off each other really well, and the script is full of amusing and clever dialogue between them. 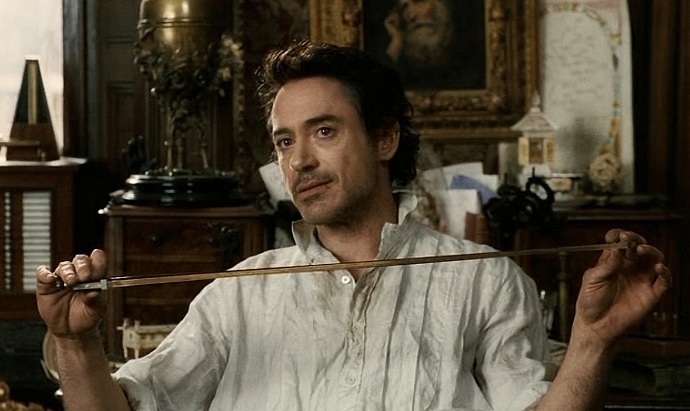 Downey Jr. captures a lot of Holmes’ mischievous (indeed, sometimes devious–orange pips anyone?) side more than anything else, which is fun, if not a complete picture. Law plays up Watson’s adventurous side, enjoying the thrill of the chase despite his more cautious sensibilities. Oh Mrs. Hudson, how did you let it get so messy? I’m not a huge fan of Guy Ritchie’s work, though I think he handled these films fairly well–with one notable exception. 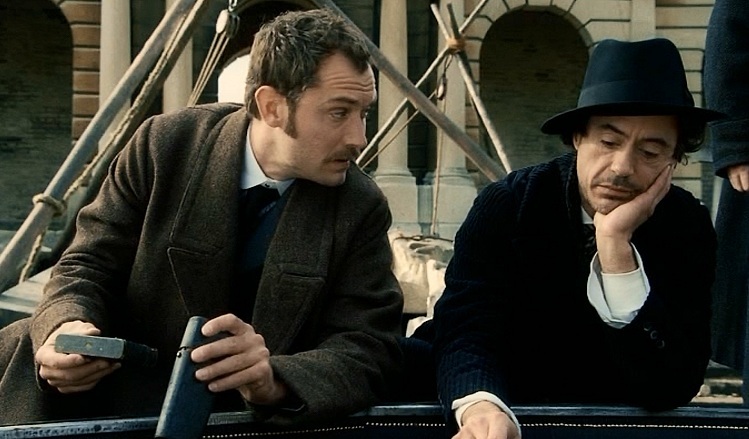 He relies on close-ups too much when shooting dialogue and it seems like we barely see Holmes and Watson together in the same shot, even when they’re right next to each other, talking to each other. This became particularly evident when I was trying to get good screenshots for this review, and now that I’ve pointed it out, you won’t be able to *not* notice it should you see either of these movies (sorry ’bout that). My point being: this is a period-piece film (and a well-rendered one at that), we want to see everything! Fans want to see Holmes and Watson and 221b in all their glory! The Bottom Line: These are fun. Go into them with an open mind, and see how many of the Holmes Easter-eggs you can find. Next time: Rupert Everett and The Case of the Silk Stockings! ← Happy Birthday Sir David Attenborough!